How often do you check your dog’s ears? 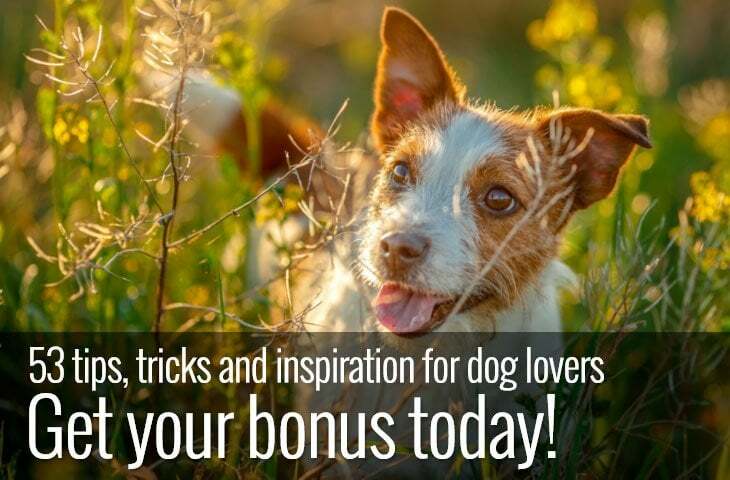 If the answer is rarely, you could be missing out on an essential part of your dog’s healthcare. Not only do routine checks of your dog’s ears keep them clean but it could prevent a nasty ear infection from taking hold. Cleaning your dog’s ears doesn’t have to be complicated. 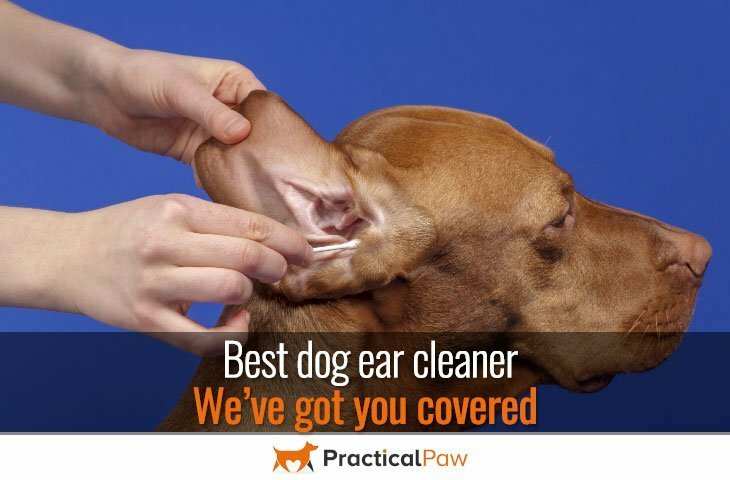 In fact, with a little bit of know-how and the best dog ear cleaner, it’s a quick and simple job that you can easier do yourself. Our top choice of ear cleaner is the BotaniVet Ear Cleaner but for more options, read on. Should I clean my dog’s ears? The simple answer is yes! Regularly checking and cleaning your dog’s ears can help prevent infections. Some dogs need very little in the way of ear cleaning. However, dogs with drop or pendant ears like Labradors, Beagles, and Dachshunds, may require a weekly clean to keep their ears healthy. A lot depends on air flow. Floppy ears cover the ear canal limiting air circulation. This leads to trapped moisture and dirt which creates a perfect environment for bacteria and yeast to grow. But it’s not only dogs with hanging ears that need special attention. Many breeds like Poodles grow hair inside the ear canal that further prevents the air from moving. Bacteria and yeast aren’t the only things that can cause problems though. Mites, allergies and trapped debris can also lead to nasty infections. Regularly checking your dog’s ears can go a long way to help prevent serious issues. 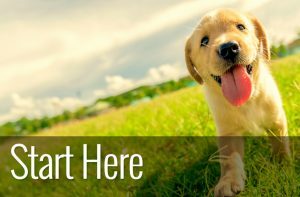 Not only will you be able to address any concerns promptly, but you’ll also save your dog a lot of pain. Never attempt to clean your dog’s ears if you think they already have an ear infection. Once a dog’s ear is infected, it needs veterinary treatment and most likely anti-biotics. Any delay can lead to permanent damage and potential hearing loss. So, if you notice any of the following symptoms, contact your vet immediately. Swollen or inflamed ears – are they hot to the touch? Ear infections can be exceptionally painful, and they won’t go away on their own. But with prompt treatment, your dog should recover quickly, and you can resume regular cleaning. Ear cleaning is a messy job, so it’s best done outdoors or in the bathroom. As most dogs don’t enjoy the experience, it’s useful to have someone to help you too. 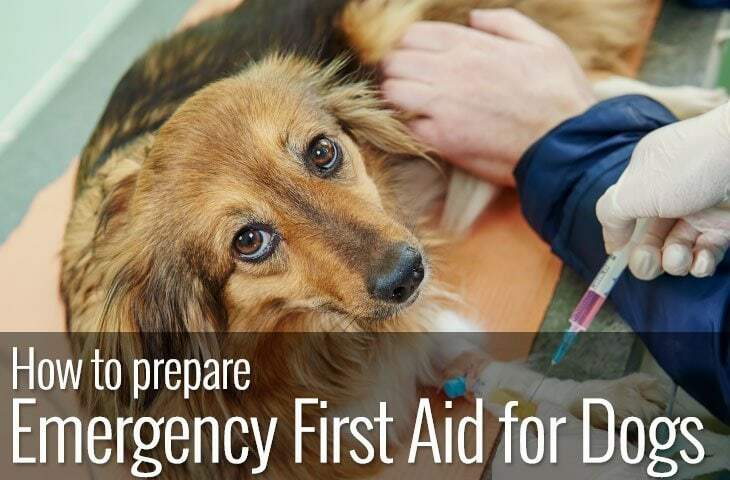 You’ll need lots of tasty treats, cotton pads, gloves, and your chosen ear cleaner. There are two types of cleaning job when you deal with your dog’s ears. The first is just a regular clean and the second is a flushing of the ear canal. This is the simpler and less messy of the two options. All you need to do is to soak a cotton wool ball in your chosen ear cleaner and focus on removing dirt and grime from the ear flap and ear folds around the ear canal. Essentially you are just wiping any areas that you can easily see. This type of routine cleaning prevents dirt and debris from falling into the ear canal. The second type of cleaning is to flush the ear canal with cleaner. This is useful if your dog has a build up of wax or you can see dirt further in the ear than you can easily reach. However, this type of cleaning should only be done with your vet’s recommendation. It’s crucial that you don’t push anything in your dog’s ear to clean it. Don’t be tempted to use cotton buds, fingers or anything else to reach further into your dog’s ears as you can do permanent damage to the delicate structure of the ear. Flushing the ear is by far the safest way to remove a build up further in the ear canal. Lift your dog’s ear up and slightly out from their head to open their ear canal. Place the nozzle of the cleaner towards, but not in your dog’s ear canal and squeeze gently. As soon as the liquid is in your dog’s ear, begin to massage the base of your dog’s ear gently. If you’ve done it correctly, you should hear a gentle squelching sound. Continue for around twenty seconds and then let go. At this point, your dog is likely to shake their head, and any excess liquid will come shooting out. Use a fresh cotton wool ball to gently wipe away any debris and cleaner from your dog’s ears. A good ear cleaner not only dissolves wax and removes debris but it should also protect the natural oils in your dog’s skin. Choosing a gentle formula limits your dog’s exposure to irritants that can lead to further problems. Most Ear cleaners come in two primary forms; pads or wipes and liquid. Wipes are perfect for the general maintenance of ears. They are far less messy than liquid cleaner, and they are handy to take with you if you’re traveling. However, if your dog has a build-up of wax or dirt in the ear canal, you won’t be able to remove it with wipes. On the other hand, liquid cleaners enable both a regular and deep clean. Not only that but you can buy different formulations for your dog’s specific problem, like a build-up of wax for example. While messier when used for a deep clean they are also more versatile than the ear wipes. We love this ear cleaner from BotaniVet. With 100% natural ingredients, it’s formulated to gently removes excess dirt, debris, and ear wax, as well as eliminating odor. Full of soothing oils of coconut, olive, and jojoba it also contains silver which has powerful anti-fungal and antibacterial properties. Completely free of genetically modified ingredients, sulfates, alcohol, harsh chemicals and detergents this ear cleaner from BotaniVet is gentle enough for even the most sensitive dogs. This ear cleaner from Pet King Brands uses the natural power of enzymes to help break down wax and remove debris from your dog’s ears. If you’re not sure of the benefits of an enzyme-based cleaner, just know that the three enzymes Lactoferrin, Lactoperoxidase and Lysozyme within this product work together to form anti-bacterial, and-fungal and anti-yeast properties. There’s no need for harsh chemicals or cleaners as the three active enzymes do all the hard work naturally. This mild, alcohol-free ear cleaner from Virbac has the advantage that it dries as it cleans. Why is that a plus point? Well, this formula gets rid of excess moisture in the ear canal that would otherwise be an attractive habitat to bacteria. It also has anti-adhesive properties which means that it makes it harder for bacteria to attach themselves to your dog’s skin. Combined with a patented anti-odor technology, Epi-Otic is an excellent all-around cleaner. SAFE and GENTLE: Dog Ear Drops to cut Ear Wax/dirt/grime Almost Instantly. 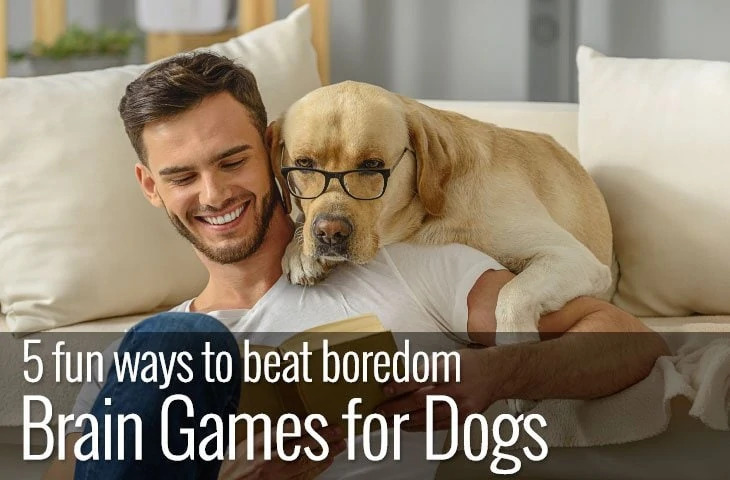 Works Great Without Irritating Dog's Sensitive Ears. Sulfate and paraben free this cleaner from OmegaPet offers a gentle way of getting rid of wax, dirt, and debris. Water based with a drying formula it’s infused with the essence of cucumber and melon to soothe and cool irritated ears. Not only does this cleaner get rid of wax and dirt but it also deodorizes leaving your dog with clean, fresh-smelling ears. OmegaPet is so confident that you’ll love their product that they offer a ‘happiness guarantee.’ If you don’t love the drops, they’ll refund you, and you can keep the cleaner. These wipes from Pet MD make it into our top 5 purely on convenience. They are so easy and quick to use and offer a handy alternative to liquid cleaners. Designed to clean, deodorize and dry your dog’s ears they are alcohol-free and contain aloe vera to soothe your dog’s skin. There’re 100 pads in the tub, so they’re good value for money and are perfect to take with you if you are traveling. The most significant advantage though is that they’re mess free. Just wipe the outside of your dog’s ear canal and ear and to remove potential irritants. Your choice of ear cleaner will depend, in some part on your dog’s needs. If your dog is an avid swimmer, for example, you’ll benefit from a cleaner with a drying effect to minimize moisture in your dog’s ears. But for a good all-rounder we really like the BotaniVet Ear Cleaner. Its natural ingredients work gently to remove dirt, wax, and debris without the need for alcohol or chemicals. As a dog’s skin, especially in the ears is so delicate, we think it’s a smart choice to use as natural ingredients as possible.